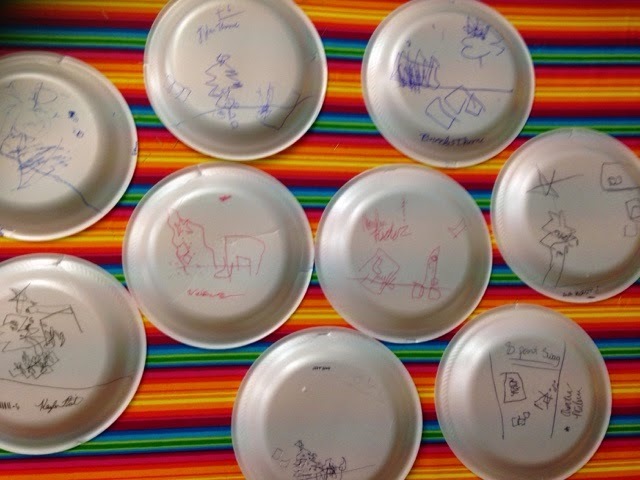 Inside: The Plate Sketch Game. 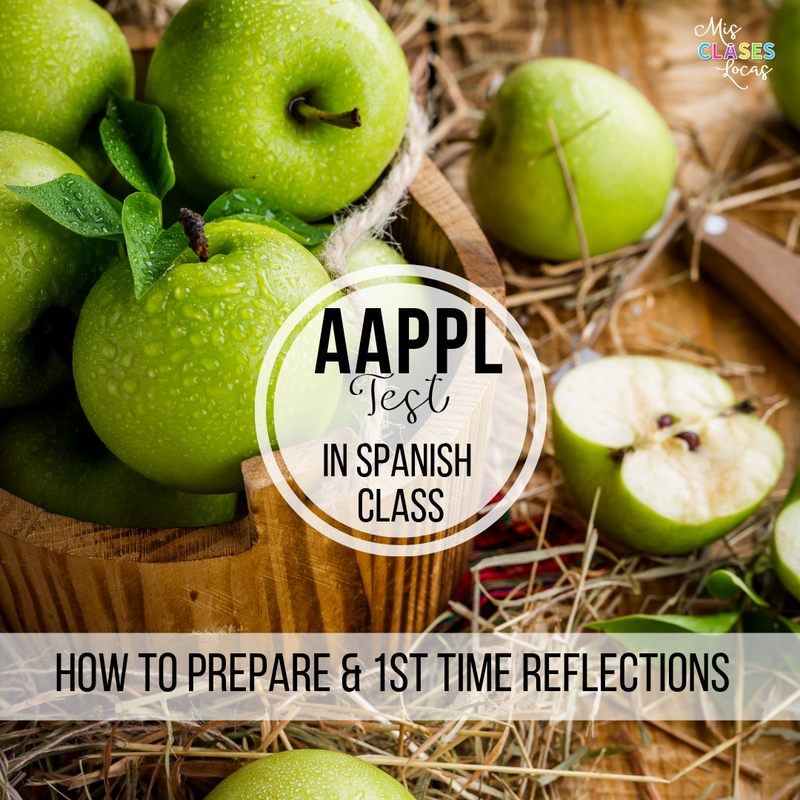 A perfect holiday activity for Christmas in Spanish class. 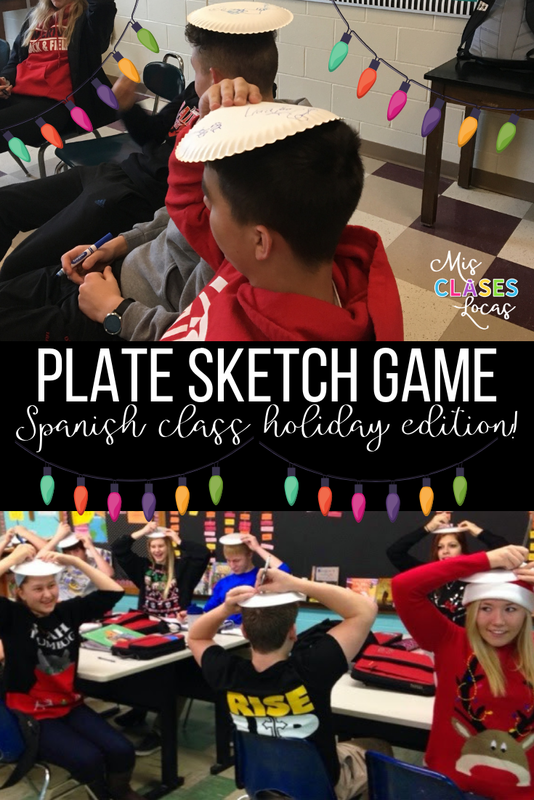 If you are looking for a 20-30 minute activity that is fun, holiday related and includes Spanish input, the plate sketch game is for you! 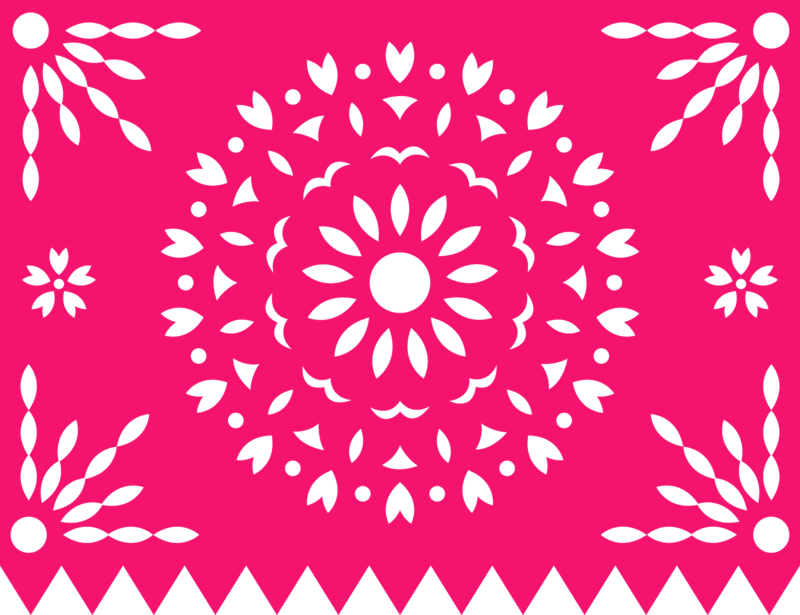 It is perfect for those short days before break, after a final, or as a part of a homeroom holiday party. 4 years ago I first used The Plate Sketch Game by Cynthia Hitz. It was the perfect day to do it since it was tacky Christmas sweater day at school. I used this Google Presentation of the activity shared by @lopezelena. 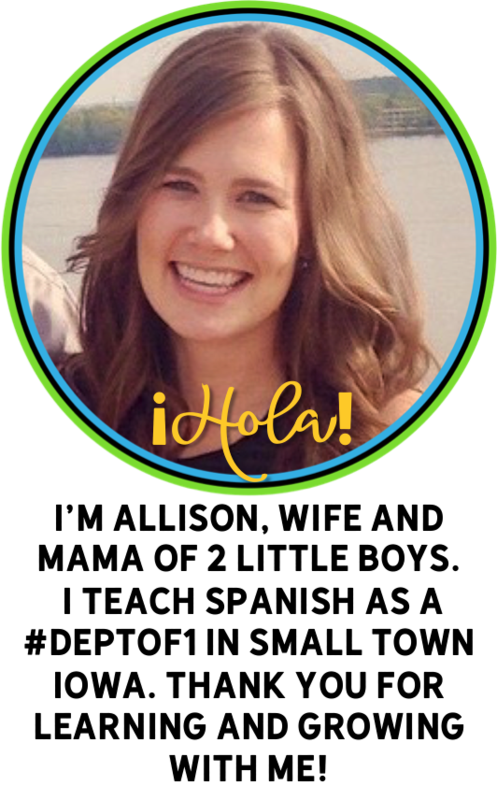 Thank you Cynthia for the idea and Elena for the presentation. All you need are paper plates, markers and to read the instructions found in the links above. Now I have learned it is best to have PAPER plates and not the Styrofoam ones I already had in my room. The markers smeared and we ended up using pen for the second class. Sharpie would probably be the best choice, but may get a little messy. It was a great way to use the target language, use Christmas vocabulary and have fun. Instruct students that once the game starts they place the pate on their head and DO NOT LOOK AT IT. Students draw what is described without looking. At the end students get "points" for having things make sense, like a star on top of the tree, etc. To extend it you can give awards for the best, goofiest, worst, etc. 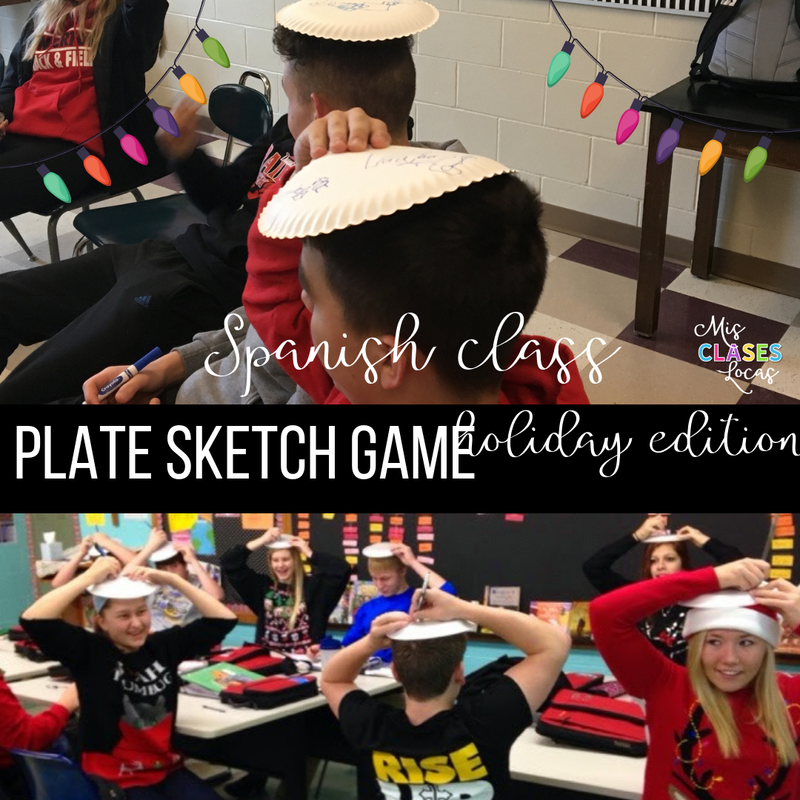 Students could present their drawing in Spanish and try to describe why their plate should "win"
If you are looking for more holiday ideas, check out Winter holidays in Spanish class. I tried this with all my classes the day before we went on break and they all loved it. Thanks for this post Allison.